Here are some of my favorite green beauty options to keep green goddesses looking and feeling fabulous. I've included products to fit a variety of different budgets, so that you can go green regardless of your price range. 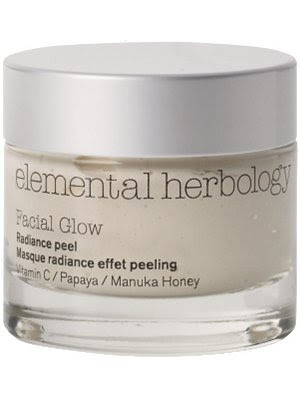 Pricey $$$: Elemental Herbology's Facial Glow: After the repeated exposure to sun, urban grit and grime, and air-conditioning, summer-ravaged skin needs a little TLC to be in tip-top shape for fall. This naturally exfoliating and glowify-ing facial peel uses orange, papaya, and tangerine to make skin gleam. Manuka Honey with antibiotic properties heals inflammation, and sea-salt and kelp purge dirt and debris from clogged pores. This mask will make you look like you've gotten 10 hours of sleep. 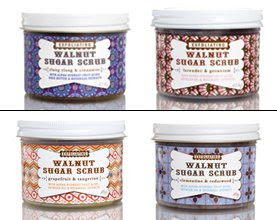 Reasonable $$: The Bubble Roome's Lavender & Geranium Sugar Scrub: Made with brown sugar and ground walnut shells to polish and essential oils to pamper, this is the ultimate green goddess luxury. It smells incredibly like a country garden, and the lavender is calming and relaxing. It's perfect for unwinding before bed. Plus, it's handmade in a tiny shop in Brooklyn. 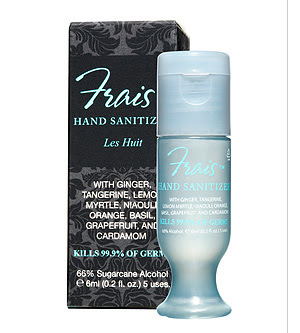 Steal $: Frais' Pocket Hand Sanitizer: The green goddess' version of Purell, this pint-size germ-killer is perfect for use post-subway and pre-sandwich. It's composed of 66% pure sugar-cane alcohol and is free of artificial fragrances, paraben, and sulfates. A cocktail of essential oils, tangerine, lemon myrtle, ginger, grapefruit, and cardamom lift your spirits and moisturize your hands. - For hair and makeup suggestions check out the comments section below. Though I didn't have time to cover green hair and makeup in this post, I definitely will in the future. For now, try Korres' line of blushes, shadows, bronzers, and glosses on sephora.com. I especially love their Quince Lip Butter and Monoi Oil Bronzing Powder. For green hair products, try Ojon's new Tunu Elastik Hair Tamer to de-frizz pre-blowout, and check out Frederic Fekkai's Au Naturel shampoo and conditioner. Both items are available on Sephora's website.